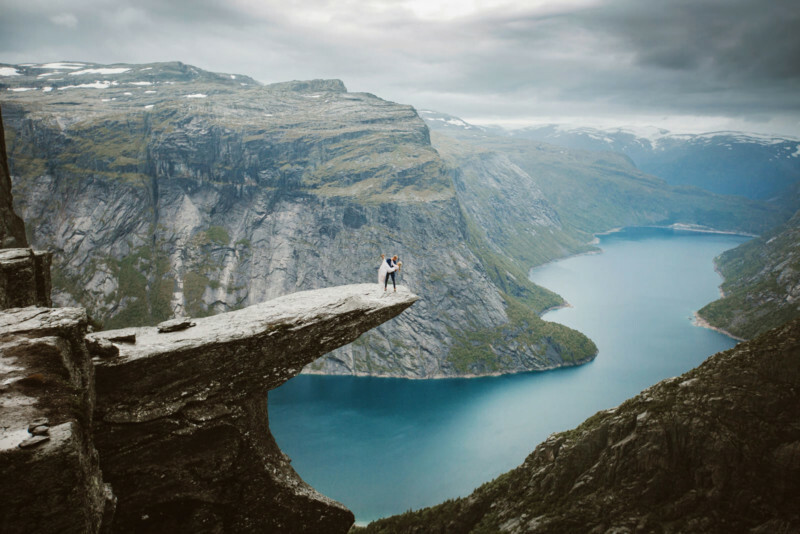 Trolltunga, or “Troll Tongue,” is a famous rock formation in Norway that’s used often for breathtaking photos. 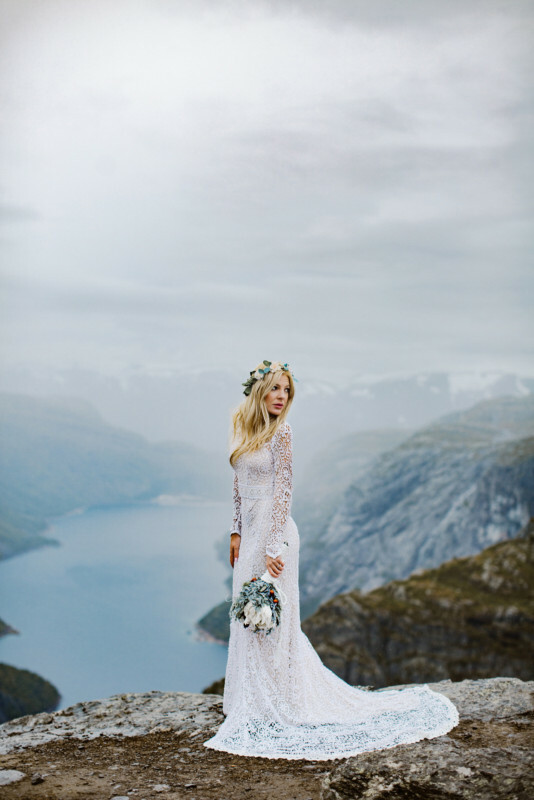 Photographer Priscila Valentina was recently asked by a couple to shoot wedding photos at the cliff. 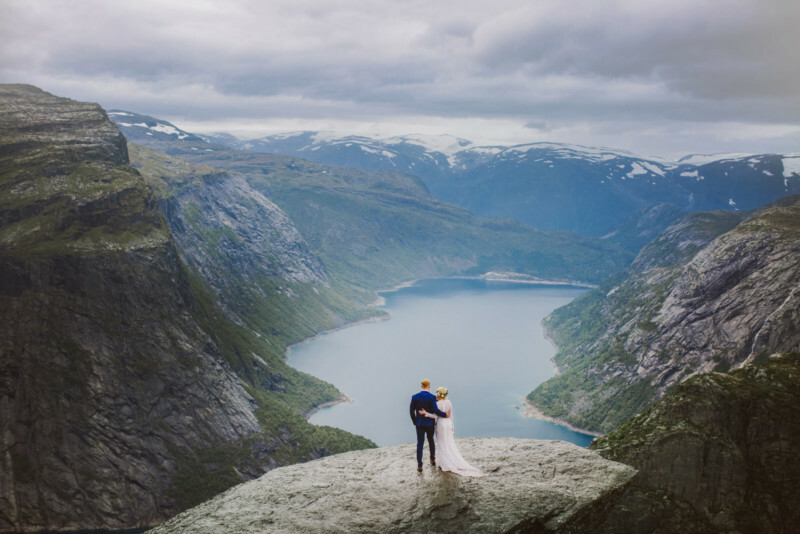 After the ridiculous challenge of hauling her photo gear to the spot, Valentina managed to capture a series of epic wedding photos of a lifetime. 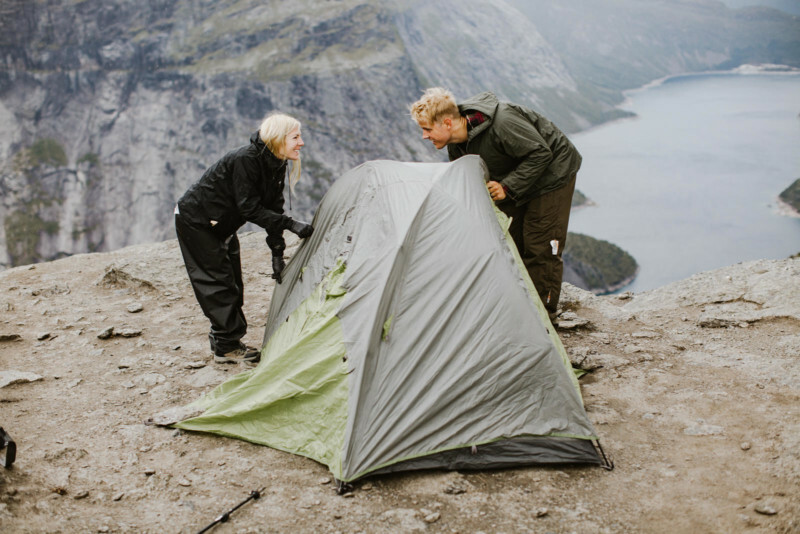 Given how long the hike to Trolltunga takes, the group had to head out early in the morning well before sunrise. By 5:30 am, they were already on the road. 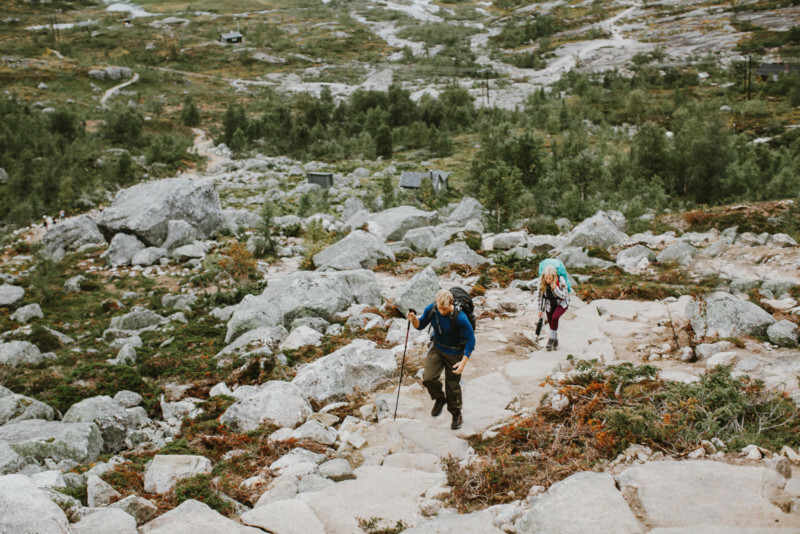 Next came the work of getting to the rock, and Valentina hiked the entire route while carrying 35 pounds of camera gear in the rain. 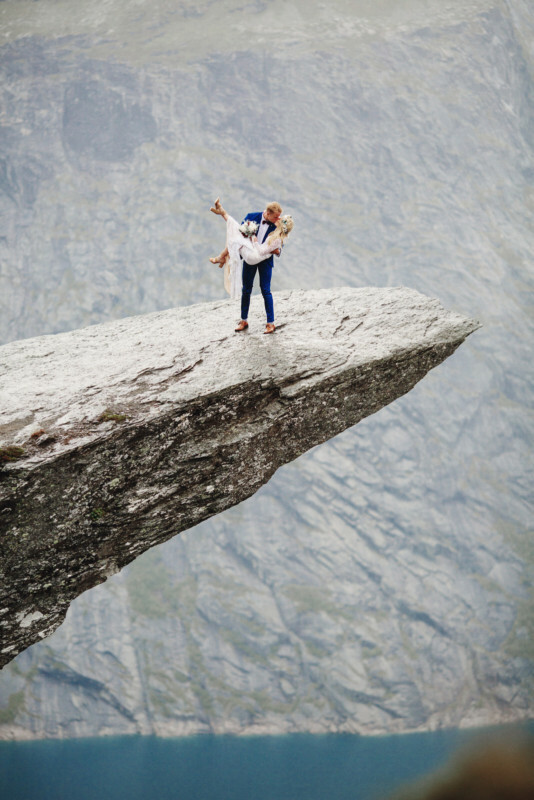 Once they reached the rock, the couple pitched a tent to change and get themselves ready for the photo shoot. 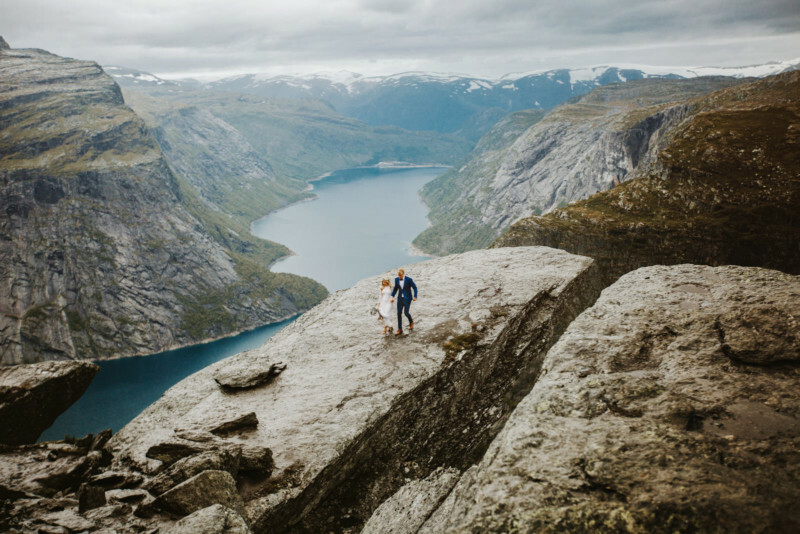 All that remained was posing and capturing stunning shots of the couple high above the lake and valley. 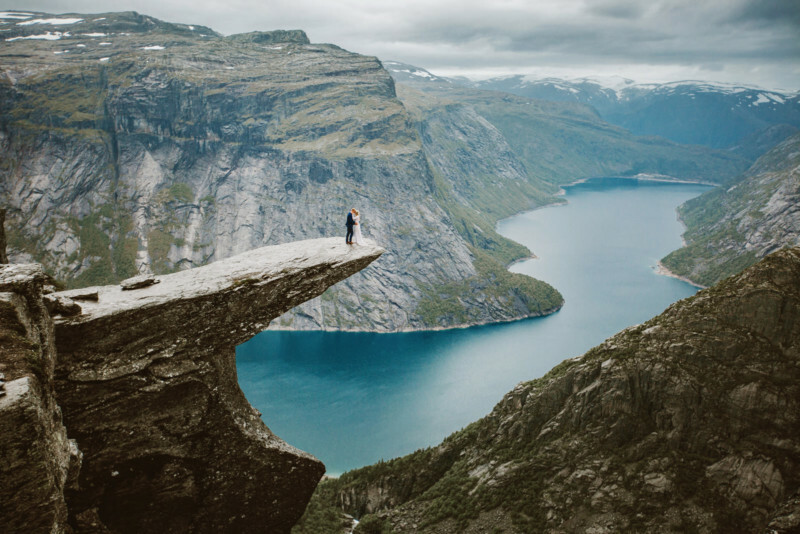 You can find more of Valentina’s work on her website.